Episode for Purchase: We're joined by an international terrorism expert to discuss how to define terrorism and whether it can ever be ethical. With readings by Donald Black, J. Angelo Corlett, Igor Primoratz, Karl Heinzen, Bhagat Singh, and Carl von Clausewitz. Episode for Purchase: On W.E.B. 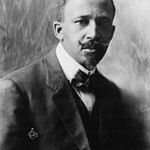 DuBois's “Of Our Spiritual Strivings” (1903), Cornel West's “A Genealogy of Modern Racism” (1982), and Martin Luther King Jr.'s “Letter from Birmingham Jail” (1963) and “The Black Power Defined” (1967), plus Malcolm X's “The Black Revolution” (1963). With guest Lawrence Ware. Episode for Purchase: On Ferdinand de Saussure's Course in General Linguistics (1916) (Part I and Part II, Ch. 4), Claude Levi-Strauss's “The Structural Study of Myth” (1955), and Jacques Derrida's “Structure, Sign, and Play in the Discourse of the Human Sciences” (1966). What is language? What is the relation between language and reality? With guest C. Derick Varn. We interview John about Seeing Things As They Are (2015). What is perception? Searle says that it’s not a matter of seeing a representation, which is then related to things in the real world. We see the actual objects, with no mediation. But then how can there be illusions? Well, it’s complicated, but not too complicated, just some funny terminology that this episode will teach you. End song: “Flesh and Blood” from The MayTricks’ Happy Songs Will Bring You Down (1994). On Theodor Adorno and Max Horkheimer’s “The Culture Industry: Enlightenment as Mass Deception” from Dialectic of Enlightenment (1944), plus Adorno’s “Culture Industry Reconsidered” (1963). How does the entertainment industry affect us? Adorno (armed with Marx and Freud) thinks that our “mass culture” is imposed from the top down to lull us into being submissive workers. End song: “All Too Familiar,” from around 1992 with all instruments by Mark Linsenmayer, released on The MayTricks..
On Experience and Nature (1925), through ch. 4. What’s the relationship between our experience and the world that science investigates? Dewey thinks that these are one and the same, and philosophies that call some part of it (like atoms or Platonic forms) the real part while the experienced world is a distortion are unjustified. End song: “Uncontrollable Fear” by The MayTricks So Chewy! (1993). Episode for Purchase: Discussing Plato’s Euthyphro. Does morality have to be based on religion? Are good things good just because God says so, or (if there is a God) does God choose to approve of the things He does because he recognizes those things to be already good? 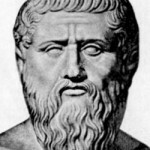 Plato thinks the latter: if morality is to be truly non-arbitrary, then, like the laws of logic, it can’t just be a contingent matter of what the gods happen to approve of (i.e. what some particular religious text happens to say). With guest Matt Evans. 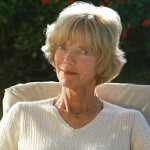 Episode for Purchase: Patricia Churchland on her new book Braintrust: What Neuroscience Tells Us About Morality. We also discussed David Hume’s ethics as foundational to her work, reading his Treatise on Human Nature (1739), Book III, Part I and his Enquiry Concerning the Principles of Morals (1751), Section V, Parts I and II. Mark and Wes will discuss songwriting and the experience of music with Jonathan Segel and Victor Krummenacher. Why not check out some of the links in this post so that you’ll have a better idea of what we’re talking about? On Henry David Thoreau’s Walden (1854). 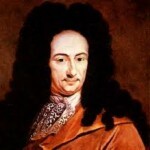 Should all true philosophers go live in the woods and seek Truth in nature? Probably YOU should. 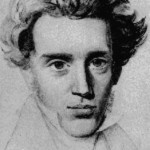 Episode for Purchase: Discussing Soren Kierkegaard’s “The Sickness Unto Death” (1849). What is the self? or K. we are a tension between opposites: necessity and possibility, the finite and the infinite, soul and body. With guest Daniel Horne. Episode for Purchase: Discussing Books II through V of the Ethics. What is the relation between mind and body? How do we know things? What are the emotions? Is there an ethical ideal for us to shoot for? What is our relationship to God? On Arthur Schopenhauer’s essays, “On Authorship and Style,” “On Thinking for Oneself,” and “On Genius” (all published 1851). Episode for Purchase: On David Hume’s An Enquiry Concerning Human Understanding (1748). 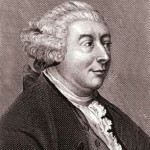 Hume thinks that all we can know are our own impressions, but that no experience shows us one event causing another event. So, causality must just be regular patterns of conjoined events. 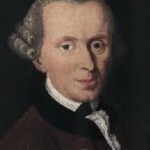 Episode for Purchase: Discussing Immanuel Kant’s Prolegomena to Any Future Metaphysics (1783). Do we have any business doing metaphysics, which is by definition about things that we could not possibly experience? With guest Azzurra Crispino. More on David Brin’s novel Existence, plus Nick Bostrom’s essay “Why I Want to Be a Posthuman When I Grow Up” (2006). With guest Brian Casey. On Martin Heidegger’s “Letter on Humanism” (1949). We’re joined by an international terrorism expert to discuss how to define terrorism and whether it can ever be ethical. With readings by Donald Black, J. Angelo Corlett, Igor Primoratz, Karl Heinzen, Bhagat Singh, and Carl von Clausewitz. On W.E.B. DuBois’s “Of Our Spiritual Strivings” (1903), Cornel West’s “A Genealogy of Modern Racism” (1982), and Martin Luther King Jr.’s “Letter from Birmingham Jail” (1963) and “The Black Power Defined” (1967), plus Malcolm X’s “The Black Revolution” (1963). With guest Lawrence Ware. 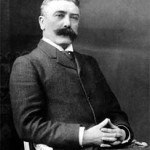 On Ferdinand de Saussure’s Course in General Linguistics (1916) (Part I and Part II, Ch. 4), Claude Levi-Strauss’s “The Structural Study of Myth” (1955), and Jacques Derrida’s “Structure, Sign, and Play in the Discourse of the Human Sciences” (1966). What is language? What is the relation between language and reality? With guest C. Derick Varn. Discussing Plato’s Euthyphro. Does morality have to be based on religion? 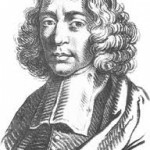 Are good things good just because God says so, or (if there is a God) does God choose to approve of the things He does because he recognizes those things to be already good? Plato thinks the latter: if morality is to be truly non-arbitrary, then, like the laws of logic, it can’t just be a contingent matter of what the gods happen to approve of (i.e. what some particular religious text happens to say). With guest Matt Evans.